Shipped to retailers in blind bags, now you can get just the cover(s) you want without having to get the ones you don't! We've done all the work for you! 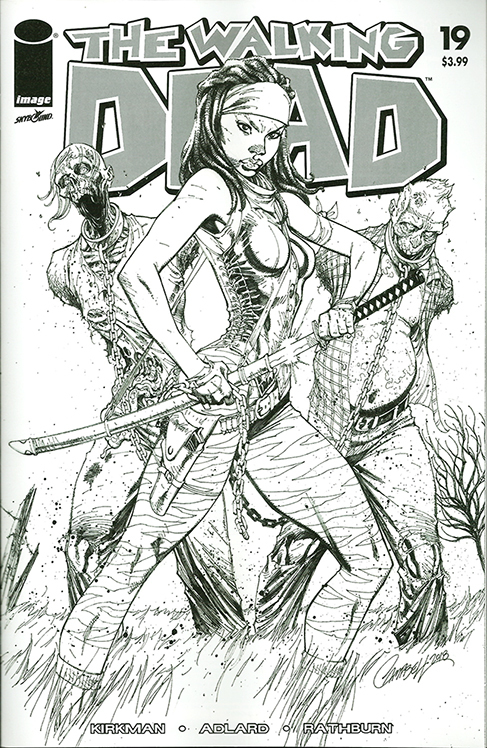 This J. Scott Campbell variant for issue #19 (First Appearance of Michonne) is the black and white variant (with logo. ).